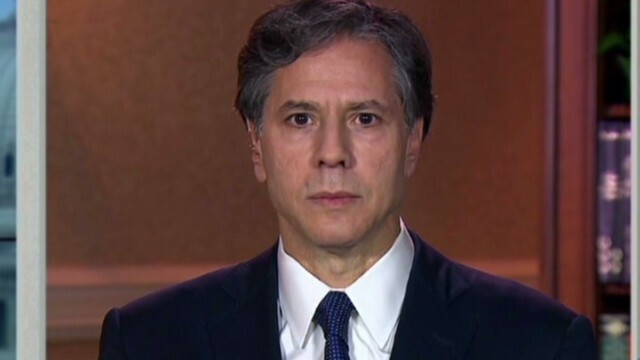 Tony Blinken, Obama's deputy national security adviser, has been confirmed as deputy secretary of state. (CNN) -- In the face of Republican opposition, the Senate confirmed President Barack Obama's nominee to be deputy secretary of state Tuesday. Vice President Joe Biden congratulated Tony Blinken on his confirmation. "Admired in every corner of the world," Biden said of Blinken in a tweet that included a picture of the two of them strapped inside an aircraft. Blinken was a member of the Obama-Biden presidential transition team in 2009 and later became Obama's deputy national security adviser. Before his tenure with the administration, where he has become a key player on foreign policy issues, Blinken was a senior fellow at the Center for Strategic and International Studies in Washington. Last week, Republican Sens. John McCain of Arizona and Marco Rubio of Florida made it clear at a Senate Foreign Relations Committee hearing that they would oppose Blinken's nomination. McCain condemned Blinken for being one of the "architects" of the U.S. troop withdrawal from Iraq in 2011, which McCain believes precipitated the growth of ISIS, the terrorist group that now controls parts of Iraq and Syria. McCain pointed to statements Blinken made then that "Iraq has never been so prosperous, so powerful, and peaceful as it is today," as reason enough for preventing his nomination. Blinken "was wrong, he was dead wrong, he made many, many statements about Iraq, and unfortunately thousands of people are dead now and parts of Iraq are now controlled by the deadly organization called ISIS," said McCain. Rubio said he's opposed to the nomination because Blinken's answers to questions about U.S.-Cuban relations were inadequate. "I intend, just to be clear and on the record, to use every procedural method available to me to slow down his nomination," said Rubio. Democrats disagreed. "I fully support him," said Sen. Robert Menendez of New Jersey. Menendez said Blinken's statements were part and parcel of those of an official who was duty bound to advocate on behalf of that administration. He said one may disagree with the Obama administration's views, but "that doesn't mean that I necessarily am going to hold that nominee at the end of the day hostage to the administration's view that I disagree with." Blinken was confirmed Tuesday by a vote of 55 to 38.